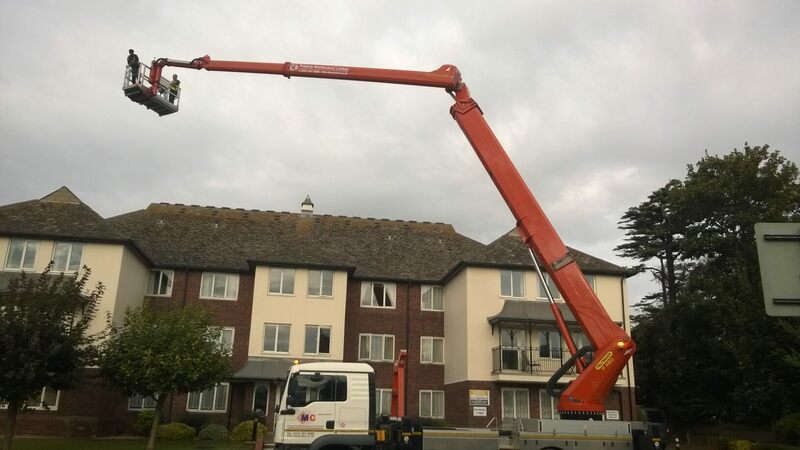 The Palfinger 480 was used for this job last week in Rustington, West Sussex. We needed the outreach that the Palfinger provides, 28 metres, as we needed to park in the road. With winter commencing, MC Property Maintenance has an increasing number of enquiries for roof repairs, gutter cleans and Doff cleaning jobs. If you require any of these services why not call us on 01243 530076 to find out how we can help with your property this winter.